We offer unique learning opportunities through a variety of formats. Explore our courses in business, trades, technology, marine and health. Courses are available during the day, evening and weekend. Ever wondered about taking one of our certificates or programs but don't know if it is right for you? Learn more about Leadership Development, Welding, Microsoft Office, Hospital Unit Clerk and others in our free information sessions. You will have a chance to have your questions answered from program logistics to career opportunities. Sign up for one of the upcoming sessions, registration is required. 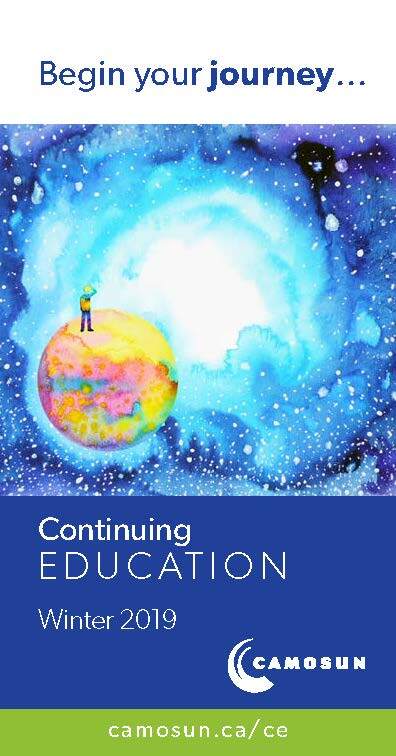 Browse our Continuing Education calendar to find a course right for you! Maritime in-service support capabilities demands a diverse and skilled workforce with a range of technical competencies capable of responding to complex maintenance and repair work. Camosun College’s Coastal Centre reports that 100 per cent of students recently enrolled in a collaborative marine industry program received employment immediately upon graduation.